The high-level view of what’s available as provided by Loggly Dynamic Field Explorer is key. It makes it a much less laborious process to get meaningful data out of our logs. Creative Market is passionate about making beautiful design simple and accessible to everyone so that web creatives can spend more time doing what they love. The same can be said of the company’s drive to foster a DevOps mindset among its development and systems engineering teams: It recognizes the value of simple and accessible log management. Creative Market is hosted in AWS and is an all-Linux, Ubuntu operation. The company relies on a number of Amazon Web Services, such as Amazon RDS for MySQL and Amazon ElastiCache for memcache, which it uses for most of its core pieces of architecture for the application. It also runs its own Elasticsearch cluster. Scalr serves as the high-level orchestration engine that controls the cloud infrastructure, including Chef automation and the Amazon API. “Scalr is our single-pane of glass to control everything,” Koerber explains. Because of Creative Market’s familiarity with ELK, it first explored a managed ELK stack, but ultimately the company chose Loggly. According to Koerber, Loggly’s Dynamic Field Explorer™ feature was a big draw. “There’s something similar in ELK, but it didn’t seem to update quickly. It would show fields from a log file you were no longer looking at. We might have been able to fix it, but we just didn’t have the time to mess around. If there’s a solution that already works, as we’ve found with Loggly, and the cost is comparable, then it makes more sense to go with something where we’re not responsible for patching software or rolling out new features,” he says. Koerber and his team are heavy users of Slack and take advantage of Loggly’s Slack integration for sending alerts to a Slack channel. “We’re on Slack all day long. All of our automation components and everything we use for monitoring and alerting notify this one Slack channel,” he says. 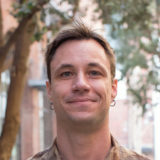 Koerber’s early career began with a sysadmin role in traditional IT and has transitioned over time into a true DevOps role at Creative Market. “The bulk of my job is automation and writing Chef and Ruby code,” he says. Creative Market uses Distil, a web-app firewall-managed service that blocks malicious traffic (mostly in the form of bots). However, valid users may be blocked by Distil’s user authentication process in some situations. Creative Market relies on Loggly to understand why this happens and mitigate the effects. “Our Distil logs go into Loggly, so we can correlate them with our application logs to determine why users were blocked,” says Koerber. Creative Market is a platform for ready-to-use design content from independent creators around the world. The company is passionate about making beautiful design simple and accessible to everyone, and helping independent creators make a living doing what they love.